Elton Mayo was born in Adelaide, South Australia on 26 December 1880 and died in Guildford, Surrey on 1 September 1949. He was the second child of a respected colonial family. Elton was expected to follow his grandfather into medicine, but failed at university studies and was sent to Britain. Here he turned to writing, wrote on Australian politics for the Pall Mall Gazette and started teaching. He then returned to Australia to work in an Adelaide publishing business where his views on management caused him to be unpopular. He went back to study, and became the most brilliant student of the philosopher Sir William Mitchell. Mayo went on to his most famous experiments – those at the Hawthorne Works of the General Electric Company in Chicago between 1924 and 1927. He undertook further experimentation to find out what effect fatigue and monotony had on job productivity and how to control them through varying rest breaks, work hours, temperature and humidity. Modern human resources gained a permanent role within organizations during the human relations movement initiated during the late 1920s. This movement acknowledged that social and psychological factors could better explain worker productivity and output. The Hawthorne Studies conducted at the Western Electric Company in the late 1920s initiated the human relations movement. Mayo is known as the founder of the Human Relations Movement, and is known for his research including the Hawthorne Studies (The “Hawthorne effect” refers to improvements in worker productivity or quality that results from the mere fact that workers are being studied or observed. This observation came from studies carried out at Western Electric’s Hawthorne plant during the late 1920s. The experiments validated the idea that people are motivated by additional factors rather than by purely economic factors.) and his book The Human Problems of an Industrialized Civilization (1933). 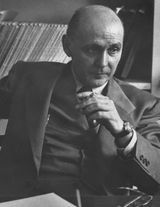 The research he conducted under the Hawthorne Studies of the 1930s showed the importance of groups in affecting the behavior of individuals at work. Mayo’s employees, Roethlisberger and Dickson, conducted the practical experiments. This enabled him to make certain deductions about how managers should behave. He carried out a number of investigations to look at ways of improving productivity, for example changing lighting conditions in the workplace. What he found however was that work satisfaction depended to a large extent on the informal social pattern of the work group. Where norms of cooperation and higher output were established because of a feeling of importance, physical conditions or financial incentives had little motivational value. People will form work groups and this can be used by management to benefit the organization. He concluded that people’s work performance is dependent on both social issues and job content. He suggested a tension between workers’ ‘logic of sentiment’ and managers’ ‘logic of cost and efficiency’ which could lead to conflict within organizations. The members of the groups whose behavior has been studied were allowed to choose themselves. Two women have been replaced since they were chatting during their work. They were later identified as members of a leftist movement. One Italian member was working above average since she had to care for her family alone. Thus she affected the group’s performance in an above average way. Individual workers cannot be treated in isolation, but must be seen as members of a group. Monetary incentives and good working conditions are less important to the individual than the need to belong to a group. Informal or unofficial groups formed at work have a strong influence on the behavior of those workers in a group. Managers must be aware of these ‘social needs’ and cater for them to ensure that employees collaborate with the official organization rather than work against it. Mayo’s simple instructions to industrial interviewers set a template and remain influential to this day i.e. 1. Give your full attention to the person interviewed, and make it evident that you are doing so. 2. Listen – don’t talk. 3. Never argue; never give advice. 4. Listen to: what he wants to say; what he does not want to say; what he can not say without help. 5. As you listen, plot out tentatively and for subsequent correction the pattern that is being set before you.